SMIDGE OF THIS: Holiday Gift Guide: Babies, Babies, Babies! Camille was such a small baby at Christmas last year, so a lot of our gifts for her under the tree were practical: socks, pajamas, and diapers. Literally, a box of diapers. But it is quite fun shopping for a sweet baby in your life, and here are some of my best suggestions, and of course, an awesome bonus suggestion that I got from a reader! So, we own three of these. The first was given as a gift, the second was purchased after Camille chose it as her favorite lovie, and the third was purchased in an emergency setting when one went missing! We love this so much, and I often use it as a baby gift because the velcro hand will attach to just about any pacifier (or toy, if a baby doesn't use a pacifier). You can also just close the velcro on the hand and have it as a soft lovie. We gave this to Camille last Christmas and she STILL plays with it. In the land of baby/toddler toys, thats like finding the mystical unicorn. Awesome for helping baby learn to walk, and just a fun toy in general. Lights, sounds, and bright colors! These are our favorite baby products of all time. Both smell amazing and you've seen me wax poetic about each of these several times now. Even with Camille being 18 months old now, we still use these almost daily. Read this to your baby with a box of Kleenex nearby. Such a special book for the holidays and to help us all remember the true meaning of Christmas -- what really makes it special. Nancy Tillman is the author and she can do no wrong in my eyes! Ian bought this for me last year after I dropped a few hints! It's a nice, heavy ornament and I love that it has the year of her birth on it. Okay, this is the splurge item, but hear me out ... there are several silver-plated rattles that you can also find on Amazon for much less. We bought this for Camille last year, the real silver version, because Ian's grandparents sent us a check for Camille's gift from them and said that they were not sure what she would want. I thought and thought about how to use that money wisely and decided to put it into something that was timeless, elegant, and that Camille could pass down to her child one day. So this would be a special gift for your baby or a baby in your life, or maybe an idea for a relative who wants to spend a little more on the baby and purchase a memorable and sentimental gift. Oh, and did we keep it in the box? Heck no. Camille loved it so much, loved feeling the cold silver on her gums, and we let her play with it every day. A blog reader Adelyn suggested a silicone bib with a crumb catcher for a great baby gift! UM, AGREE! We use these daily, and I love how easily rinsed off they are. I have tried a few different brands, but my tried + true staple is the Wonder Bib that is made by Bella Tunno. It's more lightweight and flexible than some of the others I've tried, and it has two closure buttons on the back which is really key these days that Camille is learning how to take off her own bib. Adelyn said that she travels a lot with her family and that they are even asked about these bibs in the airport. I couldn't agree more -- they are also the perfect bib to roll up (with a string cheese and fruit pouch inside) and stick in my purse for family dinners out. We have the yellow one in the collage above, and I also love the pink and green versions. Thanks for letting me share my holiday gift guide for babies with you! Don't forget, if you have suggestions for men, parents/inlaws, toddlers ... send them my way! It has been so much fun hearing from y'all! That sit to stand walker toy was a favorite at our house, too! My daughter played with it forever so I've given it as a gift to several friends. Great list! Does Camille sleep with the bunny and actually use the paci part of it? When did she start sleeping with it? Everyone keeps asking me what Oliver wants for Christmas and being a 2 month I have no clue! These are great ideas and I love Nancy Tillman books too so that will definitely be on his list! And Noodle and Boo smells so heavenly! Can you please ask MA's mom for access? I know that she's your pal just like MA+C are gal pals! Ahh I totally geeked out that you used my silicone bib suggestion! So happy you all enjoy them as much as we do. Definitely one of my favorite baby items and will be purchasing more for some new and repeat mommies in my life who don't have these. Love the Nancy Tillman book suggestion--not an author we know yet and our little girl LOVES books. 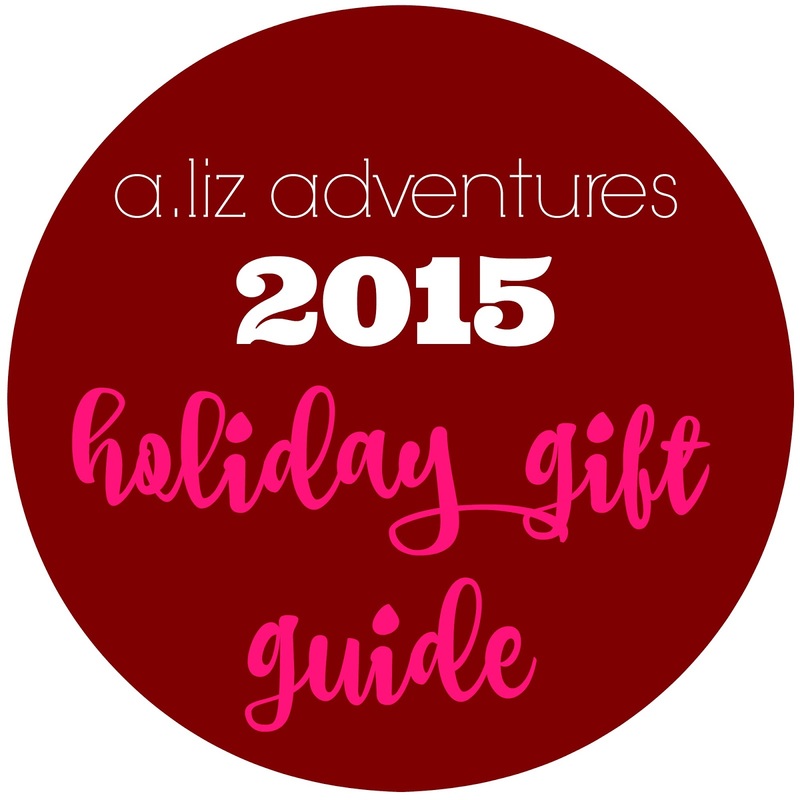 Great gift guide as usual! We LOVE that sit to stand walker! Our 22 month old still loves it! Shoot, her four year old brother still plays with it sometimes. Haha.